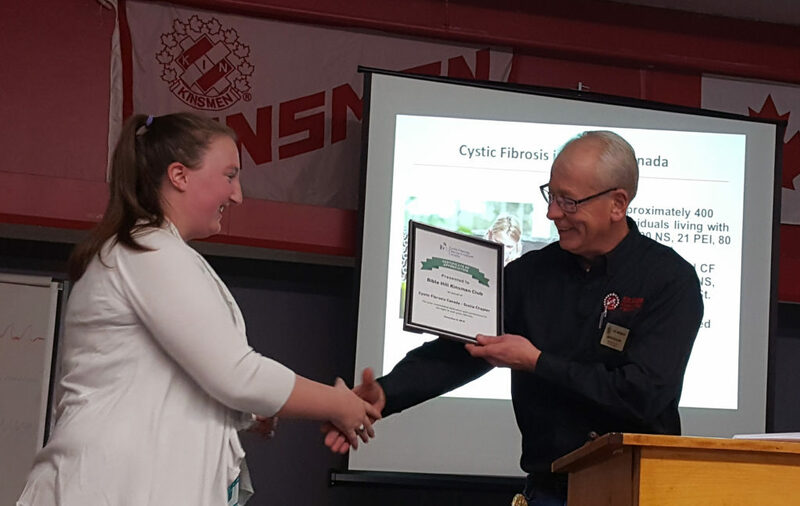 Each year Kinsmen and Kinettes host a variety of fundraising and awareness-building activities in support of the battle against cystic fibrosis. 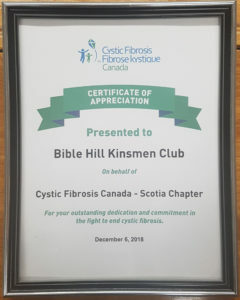 Since 1964, Kin members have raised more than $45 million for cystic fibrosis research and patient care. The Kinsmen Club in Bible Hill supports this cause in a number of ways, including through the Powerplay Program with the Truro Bearcats. Another way our club supports Cystic Fibrosis Canada is through the Ultimate NHL Road. This is an annual fundraiser, and the grand prize will send you and a guest to three NHL games in three nights: Pittsburgh at Montreal on March 15th, Dallas at Ottawa on March 16th, and Montreal at Toronto on March 17th. Tickets are just $10, are only sold in Atlantic Canada, and just 9,000 have been printed! Contact us on Facebook or by email at info@biblehillkinsmen.ca.